Take, for example, when I step out on my deck on a still summer night. The expanse of the night sky, filled with twinkling stars, the moon shining through the trees, the sound of peepers from the pond up the hill and fireflies everywhere, hypnotize me. This is my favorite kind of simplicity. I step out on that same deck on a blustery winter night and again, I see the beauty of all that surrounds me in the Finger Lakes. The pure, white snow cascading down, the skeleton branches of the trees waving in the wind and I catch glimpses of the full moon as the clouds drift across the darkened sky. This too is the kind of simplicity I really appreciate. How is this for simple? Kiss an alpaca at Lazy Acre Alpacas in Bloomfield, where you can meet these unique, long-necked creatures from South America and see the soft, lovely fleece they produce. Remember to grab a pair of alpaca socks in the gift shop to have simply cuddly feet this coming winter. Grab extras for special stocking stuffers – simple. Stop and smell the roses - and all the other beautiful flowers - in the nine formal gardens at Sonnenberg Gardens and Mansion State Historic Park in Canandaigua. Tour the mansion and imagine the simple life of freshly squeezed lemonade enjoyed on the veranda. I simply love to combine two of my favorite passions - dogs and hiking. 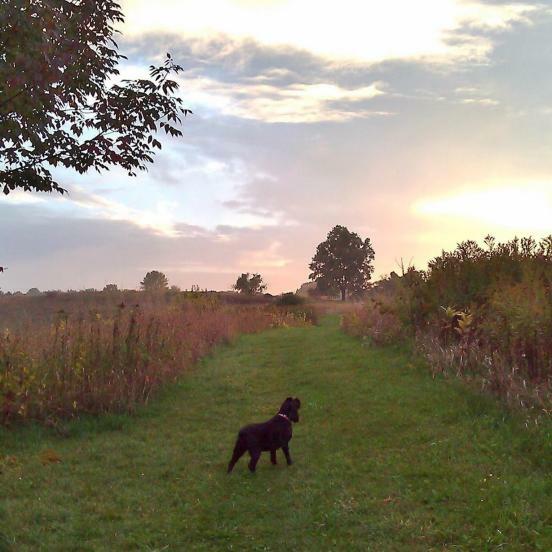 Grab your special canine and hit the trails in the Finger Lakes. The trails at Ganondagan State Historic Site, located in Victor, are beautiful and peaceful. I am always grateful for the simple pleasure of walking through a shallow creek bed. 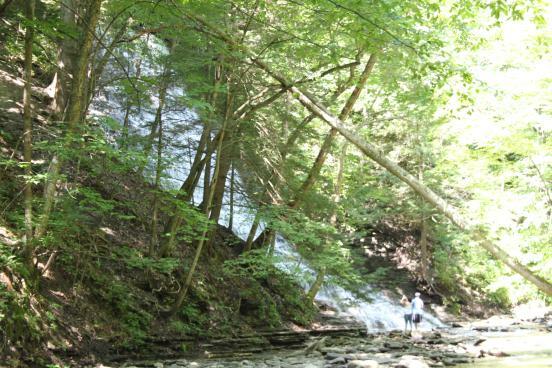 Grimes Glen in Naples is perfect – you must cross through Naples Creek to reach the two waterfalls that are within the park property! Shadow and I love to explore all over Ontario County - we are always finding new paths that are simply spectacular.